These simple, compact, low cost pumps (Stan wore the black ones in school) are designed to be dropped directly into a water tank. The self-venting design avoids any air locks. 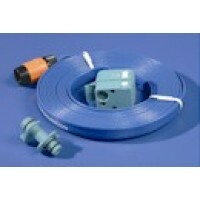 Ideally suited to 2 or 3 water outlet systems. It will upgrade a manual into an electric system and will pump fresh water, salt water or diesel. The GP1652 works off a 12volt connection (8Amp) and provides a flow of 13.4 litres per minute. 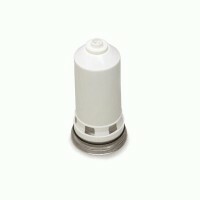 Whale Submersible Pump - Premium Flow 12v - GP1652 (351652).